The government has finally sold off the life and pensions arm of Irish Life and Permanent which was split from Permanent TSB after it required a €4 billion bailout in 2011. THE GOVERNMENT HAS said it has reached a deal to sell Irish Life to the Canadian company Great-West Lifeco for €1.3 billion. The Irish Life name will be retained as part of the deal and the life and pensions operations of Great-West Lifeco’s Irish subsidiary, Canada Life, will be combined with those of Irish Life. Irish Life said that the terms and conditions of customers’ policies will not be impacted by the change in circumstances. It is understood that staff at the firm are being briefed today about the sale. The government says there will be an additional dividend of €40 million being paid to the State prior to the completion of the deal which is conditional on regulatory approvals. The Department of Finance said these were “customary in a deal of this nature”. The sale brings an end to the government’s long-running bid to sell off the profitable life assurance arm of the Irish Life and Permanent group which was split from the troubled Permanet TSB in 2011 when PTSB required €4 billion in State capital. A total of €2.7 billion was pumped into the bank at the time of the takeover and the government had been expecting to raise €1.3 billion once the sale of Irish Life was completed. A previous deal with Canada Life/Great-West Lifeco collapsed in November 2011 amid concerns from the prospective buyer about the eurozone crisis. “Today’s deal is the first time during this crisis that a company in which we have invested has been returned fully to private ownership,” Finance Minister Michael Noonan said today. Email “Sold: Government confirms sale of Irish Life for €1.3 billion”. 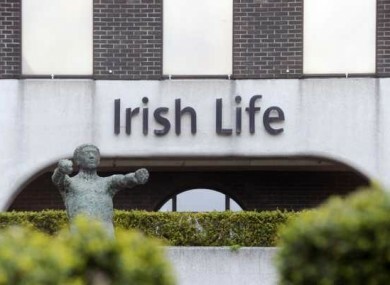 Feedback on “Sold: Government confirms sale of Irish Life for €1.3 billion”.